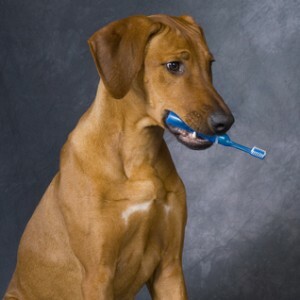 Good dental hygiene is as important for our pets as it is for us. 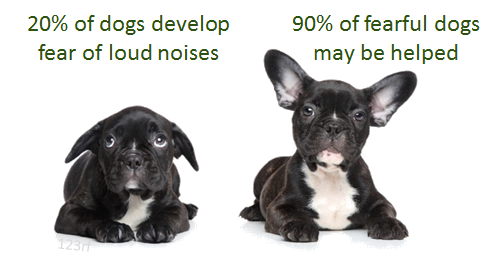 It is the most common disease in dogs and cats. Just imagine if you did not brush your teeth every day. Well, our cats and dogs certainly can’t do this! A bacterial film (plaque) forms quickly on the teeth after brushing, and tartar occurs when calcium in the saliva deposits on the plaque. The result of tartar build up (which is full of bacteria) is that the bacterial toxins eat away at the bone holding the tooth in the socket (alveolar bone) and at the tissue that attaches the tooth to the bone (periodontal ligament). The result is periodontal disease which can eventually lead to loosening and loss of teeth (note that cavities are not typically a problem in dogs and cats). As the oral disease worsens, secondary infections of the tonsils and throat (pharynx) can occur. Bacteria absorbed into the bloodstream can be carried to other organs such as the kidneys, liver and most importantly the heart (causing endocardiosis or endocarditis). A thorough cleaning of the teeth is similar to what your dental hygienist performs. A combination of ultrasonic scaling and hand scaling remove the tartar from the enamel surface, followed by polishing and a fluoride treatment. If the level of the dental disease is only a Grade I (no root exposure, just tartar and gingivitis), we have a non-anesthetic dental service which comes to the clinic once a month to perform these cleanings. 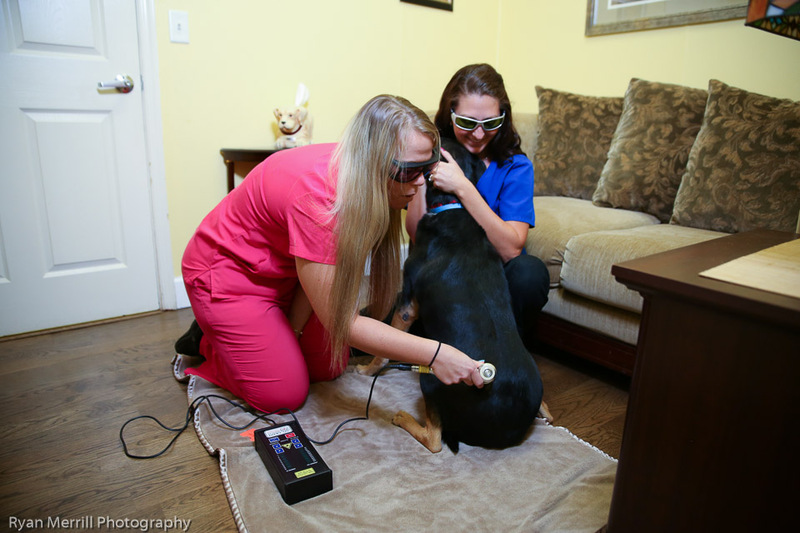 These are highly trained and skilled professionals which are capable of performing a thorough cleaning while the pet is cradled in their laps. 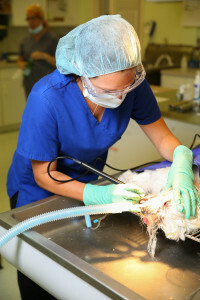 Pet Dental Services (www.petdentalservices.com) has been serving the needs of All Paws Animal Clinic since July 2007, performing over 200 dental cleanings. The service has been providing anesthesia-free dental care for more than 10 years and has established a solid reputation among a growing network of over 300 veterinarians. They are extremely compassionate with animals! For those patients with more advanced dental disease, the scaling and polishing are performed under general anesthesia (see Surgery under for services for a description of safety of anesthesia). To assess disease below the gumline, digital dental xray provides us a way to see the extent of bone loss (alveolar disease) as well as other abnormalities. Teeth that are loose/mobile are beyond salvaging and must be extracted. After apply a fluoride foam to the teeth, a sealant called “Oravet” is applied to the tooth enamel after the polishing. Medications are prescribed for pain and infection. Chewing is a natural way to prevent plaque and tartar build-up (Dentees Chews and C.E.T. chews are excellent), but this only helps the back teeth (premolars and molars) and not the teeth in the front (canines and incisors). Brushing of the teeth is the best way to prevent periodontal disease, but to be effective, it really needs to be done every day and not all pets will tolerated brushing. Applying products such as the Nolvaldent spray, Oxyfresh gel and V-Biotene gel help to kill the bacteria which can cause plaque. We also carry the Oxyfresh Pet Oral Hygiene Rinse which can be mixed with the drinking water.